Alleged details of a Xiaomi Mi Mix 4 smartphone have been shared on Twitter. According to a screenshot that was apparently taken from the online payment platform Alipay, the Mi Mix 4 will be a foldable device that features a 60 MP camera. The series is known for its innovation: The Xiaomi Mi Mix 3 smartphone has a slider form factor. It appears Xiaomi is continuing to be a great smartphone innovator if the latest leak concerning the Chinese manufacturer is accurate. An Alipay user has taken a screenshot of some high-end smartphones being offered on a rental page. Beneath such luminaries as the OPPO Reno, Huawei P30, and Huawei Mate X there seems to be a spot for the Xiaomi Mi Mix 4. Of course, it is quite easy to manipulate this kind of screenshot, but it still makes for interesting reading and there’s always the chance it is a genuine leak. 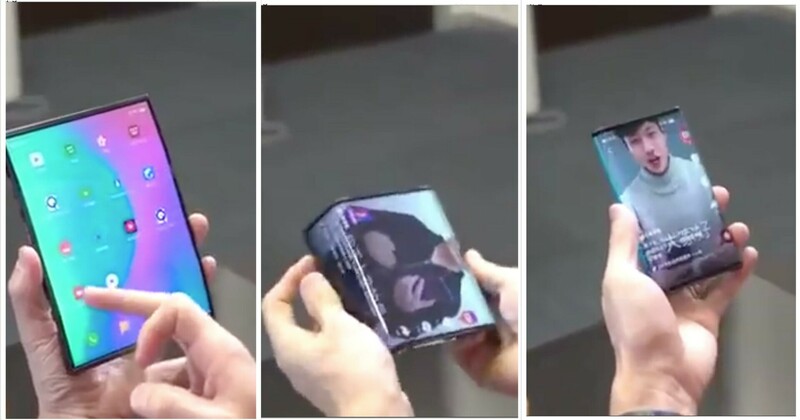 Apparently, the Xiaomi Mi Mix 4 has a “dual folding screen.” Straightaway, this leads to the conjecture that the beautiful foldable smartphone Xiaomi keeps teasing is going to be the next addition to the Mi Mix series. Along with the statement that the Xiaomi Mi Mix 4 will be a foldable smartphone, it seems it could also sport a 60 MP camera with AI properties. 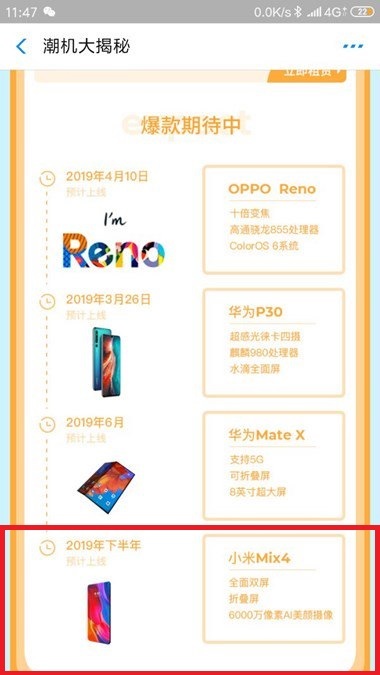 It’s a very exciting prospect, and it looks like fans of the manufacturer won’t have to wait for too long to get a hold of the Mi Mix 4, as the screenshot clearly shows “2019” – with the second half of the year being mentioned elsewhere.